Upon request from a few readers who were struggling with the amount of time it took to set up the Anki deck the way I recommended, I’ve decided to upload my own personal Anki kanji deck to this site for people to use. This deck takes the lengthy and difficult changes I’ve made over the years and provides it to you in one easy to use package. If you plan on using this deck, you absolutely need to read this post before starting so you know how to use it properly. Also I recommend reading this post discussing what happened to a lot of the standard kanji. What is in this crazy deck of yours? – Common Japanese keywords to all kanji. – Hints for problem areas with RTK: 1) similar English keywords, 2) homonyms where you don’t know which meaning of the keyword was intended, 3) English keywords that you’ve never heard of before. – All stats reset to 0, so it is instantly ready to use. I’ve already started/finished RTK on Anki. Anything I can do? I recommend doing what I did. Rather than go back and try to change everything at once, which will only cause headaches, change it as you go. Whenever you get a kanji card wrong on a later review, either delete it if it is an unnecessary kanji or add the Japanese keyword so you can remember it better. This deck took a long time to build up, so I ask you that you don’t upload this deck to other places on the internet such as the Anki shared decks server. 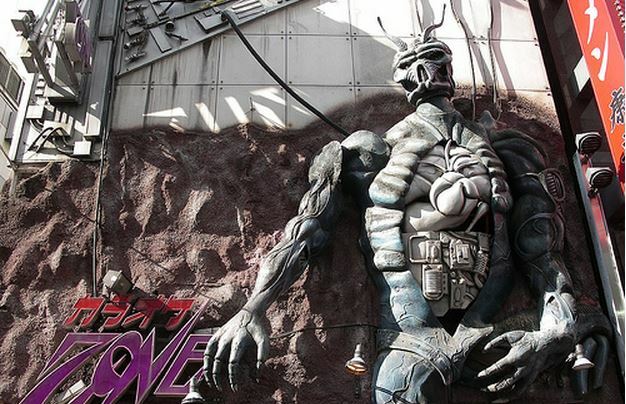 This is a Japanese Level Up exclusive. Feel free to link to this post on your website, but don’t link directly to the download only. Hopefully this deck will allow new Japanese learners to take a powerful dive into the language without any boring, technical setbacks. Thank you so much for sharing your deck! I feel like I leveled up just by having it in my possession :D.
Wow thanks for the kind words and donation! I really appreciate it. Oh good, finally I can get going on the RTK deck again. Having to look up keywords was taking a long time, especially because http://ziggr.com/heisig/ is in a completely random order so I had to keep switching the keyboard layout to find the English word, look at it with Rikaichan, then type it into Anki. Not sure how to make it see the file, though. I unzipped the .rar into %appdata%\.anki\backups (where all the other .anki files are), but on restarting the program, nothing changed. Nevermind, figured it out. %appdata%\.anki\backups is for deck progress data. The actual deck files go in My Documents\Anki. thanks for the excellent work. Though I was wondering if you have a spreadsheet/csv version since only anki online works on my phone and its quite costly to be online. Yes, you are right, it is based on the older version. Thanks for pointing that out. I’m the guy who originally had trouble with adding japanese readings. If it weren’t for your help, I would’ve probably stalled rtk until it was too late and never finished it. Thank you again! Hi! I have a question. Um, thus far, I’ve been using the lazy kanji method for my anki stuff, but I’m curious what your take is on that. Sometimes I kind of feel like I’m cheating and worry about my retention rate outside of my reviews, but I’m not sure if it’s just too early in my studies to make a judgement on that. What are your thoughts? Do you think I should edit my current lazy kanji deck to match this RTK deck, or should I just flat out use this RTK deck? Thanks. I don’t really know anything about the lazy kanji method except that it is supposed to prevent burnout by making kanji review easier for you. I of course prefer my own methods and would recommend them. I guess you gotta decide which suits your style more. Ah, thanks for responding! I guess I’ll probably stick with Lazy Kanji for now. Unfortunately, my imaginative memory isn’t too great, so I very frequently forget Heisig’s mnemonics. Hopefully with Lazy Kanji, I’ll be able to remember simply based on the primitives. Hey do you read RTK before doing the anki? or at the same time? There is a post about forgetting the english stories and telling us to not put them in our anki decks, which makes this a little confusing on how to approach RTK with your methods. Any thoughts or post that I may have missed that covered this? I didn’t say don’t put the English stories in your decks, but more along the lines that the need for the stories will disappear, and eventually they will (properly) leave your memory. I definitely believe the stories are important. However, since they are supposed to and will fade away anyway, I never actually bothered adding them to the deck itself. However I did read the RTK book for the stories and do the RTK anki deck at the same time. You can either follow this path or make use of the website Reviewing The Kanji. If you feel writing in the stories will be more helpful, you can do that as well, but I it may be a little time consuming and unnecessary. Thanks for the reply. Think I will take the keyword approach. Final question, for the Japanese keyword, which is did you lean more towards, kun or on reading? I chose one of the most common Japanese words the kanji appears in, so it is probably a mix of both. Thanks so much for this. Saved me time from learning less useful kanji and from mindlessly entering the data into cards. I finished on the 20th! I’ve started using your branching idea for my sentences. First let me thank you for the useful deck; I just finished RTK1 today, and even though I’m still in the very early staged on my J-E sentences having japanese keywords has already helped quite a few times. – Do you think RTK2 is of any value? Or are sentences just ultimately a superior way to learn the readings? – Correct, the deck doesn’t include the new Joyo kanji outside of RTK1+3. – RTK 2 is not worth doing. Sentences are far superior. – I personally don’t like fill in the blanks. They remind me too much of test and quiz exercises in school. I also like my Anki cards to be short and concise which I know MCDs aren’t (they have a lot of context included). While they aren’t my style, there definitely seem to be an increasing number of learners out there that are using them to success. If they sound interesting to you, I think they are worth a shot to try and see if they match your learning style. Wasn’t sure where to put this…. I don’t believe he is understanding the true power of Anki. And I have to disagree with three cons. – Saying Anki only does flashcards doesn’t do justice to spaced repetition. – You get what you pay for? Anki’s creator Damien could easily charge a lot of money for the program, but has decided to keep it free. He still has poured the same years of hard work into the program. – While it’s hard to say whether SRS is the best way to learn a language due to the recent use of it in such wide context, it is already proving itself to be a an extreme powerhouse. Hmmm… What is the best way to study single kanji with Anki? Obviously, there are multiple readings sometimes, but I think putting every single one of them in a “Reading” field would do much good. The same goes for the meanings of kanji. Any ideas? Well, I’m no expert, as I’m still very much a Japanese beginner, but from what I know, you’re NOT supposed to study single kanji. RTK is meant to familiarize you with the kanji and their general meanings, but you’re going to pick up the readings naturally as you learn new words through sentences. The point is, trying to memorize the readings of single kanji out of context is just going to be frustrating and not too efficient at all. Irmoony hit it right on. Muchas gracias, comencé a estudiar Kanji y esta herramienta me sera de gran utilidad. más adelante comentaré de nuevo sobre mi experiencia. You might be able to get somewhat of a list if you upload your deck to Anki Web, and then view it through that site. I think it provides a list of all cards in the deck (with all their fields in text format). At least that is what it used to do. Then you can just cut and paste. i think i can just browse through your posts called ‘filtering out the [RTK] flaws’. thanks. First of all, thank you so much for sharing this with us! It’s a tremendous help, so kudos to you, good sir. Apparently, though, the file is no longer there. It sends me to a page saying ”Not Found”. Could you please upload it again? Thanks for pointing that out. I just changed servers on JALUP, so if you or anyone else notice any files that aren’t working, or anything that looks weird, please let me know. 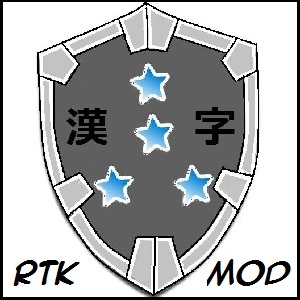 The RTK mod deck download should work now. Hey, I just downloaded the deck but it seems like it’s broken in Anki 2.0.2. It imports fine, but trying to edit the cards, study, or sync with AnkiWeb throws out errors. Could you please update it when you have the time? You modified deck looks really good. I have been studying RTK for about two years and have been looking for a new, fresh way to study it. I like the idea of learning the Japanese keyword, as well. One problem for me is that I sometimes don’t know the pronunciation of the other kanji in the Japanese keyword that goes with the RTK kanji. Any suggestions on how to get that pronunciation included? I could, every time it happens, flip over to a dictionary app and look up the word, then go back and edit the card by adding the reading. However, that could get really tiring, really quick. I’m willing to do it, but before I start that grunt labor, I thought I’d ask if anyone knew of a better answer. Firstly, thanks for all of the help on Japanese study, it’s been great! Download WinRAR (it is free). The reason why it is zipped with WinRAR is because it saves space on the server, and since I offer it for free, I try to save money where I can. Hahaha, wow, thanks for the update to Anki2! I was just here yesterday checking this out after the Anki update trashed my progress and repeatedly failed to process my old deck, and I couldn’t figure out a way to trick it into updating your deck. Tip to AnkiDroid users: Don’t trust AnkiDroid 2.0 with updating 1.0 decks. If you still haven’t updated to 2.0, and you still don’t have a Desktop account, get one, and find a way to update your deck there. Sorry for bringing this up now, but will I never really come across these words up there on Kanjis? Also, one more question. In my ANKI mod deck, there are roughly 2000 Kanjis. However, according to the new Japanese definition, we should know 2137 as the Joyou. What can I do? I believe the recommended government standard use kanji changed after the creation of my deck (this is reflected in the newest RTK textbook). I’m not really sure how much of a difference people are finding these new kanji. Anyone familiar with this care to give some input? No, you will come across this kanji eventually (but still only occasionally), especially once you start getting into deeper literature. But the point is that you can deal with these just through anki sentences, and don’t need stress learning these kanji at this early time for something you may not use until years later. Rtk is hard enough and you have enough on your plate. Don’t bog yourself down with rarer kanji at this point. Even with all the kanji intact from Rtk1 and rtk3 you will still come across hundreds of kanji you don’t know in your later studies. And you won’t be creating stories for them and leaning them like you did in RTK. Of course not everyone agrees with me on this and the kanji I chose to remove are subjective based on experience. I think the coolest thing about this deck is that the keywords link to kanji.koohii.com. There’s so many clever mnemonics that people make up, and it’s so easy to go back and review them if I get stumped on a particular Kanji. Doing new Kanji is fun just for the sake of reading the awesome (sometimes downright hilarious) stories people can come up with. Thanks for all of this; I was about ready to chuck RTK out the window at about 200, but this deck is so well formatted, so well organized, and it’s always a joy to get on and do the reviews that I’ve kept going. I can gladly say that I’ve lost track of how many I’ve gone through now, like it doesn’t even matter anymore, but my best guess would have to be I’m almost done now thanks to this. I’d just would like to say a big thanks to you. It is exactly what I had in mind to proceed in learning kanji, and I just never had the time to really create the cards. You saved me a lot of time. thanks! How do you use the deck in conjunction with RTK? Are you supposed to complete RTK and then use the deck for review? The deck has 2000+ kanji, so how are you supposed to use it daily for reviewing the kanji you’ve learned when you’ve only just started? For instance, say I just started RTK and I’ve only gone through the first 25 kanji. Would I start studying with the anki deck and just stop at 25 or what? I guess what I’m asking is, what would you recommend as a daily schedule for someone who’s just started RTK? What I personally would do is just start with however many cards I was comfortable doing per day…say, 25 or so. I would read Heisig’s chapter introduction and then just look up the stories for the cards as I encountered them. Then, I would add the stories to the back of the card so I didn’t have to carry RTK around with me everywhere. It can get kind of tedious flipping back and forth while you’re copying down stories, but it certainly makes review easier. As for daily schedule, there’s no right answer. When I first started, I wanted to be the Rock Lee of Kanji. Grind, grind, grind, 30 or more Kanji a day. It was okay at first…but when I started hitting 250-300 reviews a day, I burned out hard. I learned my tolerance is much, much lower…more like 15 new cards a day. It’s slower, certainly…but so was taking a month where I only did reviews to “catch up”. That probably cost me more time than just cutting the number of new cards in half to begin with would have. It’s the kind of thing you can only learn through trial and error. Does that at all answer your question or did I totally miss the point? I probably didn’t word my post very well. What I’m saying is, the anki deck has all of the 2000+ kanji in it, but if I’ve just started RTK and only know about 50 or so, of course I can only study those 50 that I know. So I’m trying to figure out how I’m supposed to use the anki deck for review while simultaneously going through RTK. Think of it like this: I just started RTK today. I went through the first 50 kanji. Now I want to review using this anki deck. Should I just open anki and hit study, then stop when I get to 50? That doesn’t seem right. Sorry if I’m not getting it. This is all very confusing to me. Thanks so much for your reply, StereotypeA. Edit: I just re-read your post and I think I understand what you’re saying. Basically, you just went through Adshap’s deck and when you came to a new kanji in your study session you referred to RTK for the story. Is that right? Wouldn’t that kind of mess up the anki system tough? because you’d have to cheat the first time through. It’s not cheating, it’s learning. See the keyword, look up the story in Heisig (or make up your own), really get it down in your head and then hit “Again”. Then, when it comes back up, you don’t reference the book at all, you just go based on your memory. Here is where I hit “Good” regardless of whether I know it or not. In the beginning, I would keep hitting “Again” over and over until I was sure of it, but, again, when the numbers started getting really high, that started to burn me out. Essentially what I mean is this: first time you see the keyword in Anki? Learning. Every other time? Review. Thank you :). I have my doubts about the kanji that you erased, but between 3047 vs 1901 it’s easy to say who is the winner :) (I was already studying RTK1 with Anki and reach until about the number 1900, but hey, let’s start again with japanese keywords haha). Wow, thank you very much for the great deck. You have saved the effort for anyone who learn by using Heisig + Anki. Excuse me, which one is the latest deck update? 3/31/2013 or 5/2/2013 and also the one i downloaded seems like not compressed at all. Am i getting the wrong link? The original deck was in Anki 1 and much bigger, but these 2 decks are both in Anki 2 and are compressed. Are you getting a file size over 1mb? Nope, it’s only 174Kb. I clicked the link provided in this page. The deck came preconfigured at 100 new cards per day, which is pretty high. Is that supposed to be a recommendation or is it just something that never got adjusted? I normally stick with the Anki default of 20. Yea that’s way too high. That’s something that just never got adjusted (it definitely isn’t a recommendation), so I say go whatever pace you feel comfortable with. 20 is a good daily number for new cards. I was wondering what you did when you made the deck that allowed it to set its own new/review card numbers separate from Anki’s setting? After changing it from 100 and 100, I found I could set them to whatever I wanted, but I can’t figure out how to do that for my other decks. Not really sure why you can’t change those two numbers. You are doing the following? 1. Click the tool icon next to your deck. Are you saying this won’t let you go over 100? I tried creating a fresh new user id and deck and this works. Thanks for the reply. For some reason, I can set the new card/review numbers on your mod deck separately from the Anki app’s setting. For example, I have yours set to 10 new cards and max reviews every day. But in the application menu, it’s set at 20 and max, which automatically applies to all of my other decks. So I was trying to figure out how to make each deck change individually, rather than an overall setting. It’s possible this can’t specifically be done on OSX/iOS. Yeah, not really sure about it then. I’ve only used it on Windows. It sounds like there should be a way though. I clicked a couple of more things and found it actually – I have to save a new deck setting options group, then assign each deck. Thanks for the help! Starting this after I answer a card I get this weird question mark box shown here http://imgur.com/hCPdQbM What is that? Am I missing something? Also what do the numbers and kanji in the lower left mean? This is the number of strokes the kanji has. The other number 23 I believe is the order number of the kanji in RTK. To be honest, I’m not really sure what the question mark means. Does it appear on all cards or just a few? It might’ve been some info left over when the deck was upgraded to Anki 2. However it should have no impact on the deck at all. It’s on every card. I just wasn’t sure if mine didn’t download right so I was missing something. Thanks! I was surprised that you removed 曇. I wouldn’t say that it is rare. I’m sorry to bother you but I’m new to Anki and I got a problem using it. I downloaded the current version of Anki as well as JALUP RTK deck (I can’t tell you how grateful I am to you for sharing this. THANK YOU). The problem is that when I open this deck on Anki to start learning there are only 127 notes instead of 1901. I can see all 1901 notes there but they can’t display and I got this too:”Updated 0 of 1901 existing notes. Some updates were ignored because note type has changed”. I’ve tried to solve this myself for awhile now but nothing changed. Can you help me, please. Hmmm. I’m not really sure to be honest. The deck hasn’t changed in a long time, and has had thousands of downloads without issue. Has anyone else encountered a similar problem that can maybe help? You might want to try posting the question to the Anki help forum, as I’m not really an expert on Anki troubleshooting. And I think you already knew this but I still want to say, your site is really amazing, it’s just like the Wonder Land. Thank you for all the hard work. Of course. Plenty of people make the deck themselves as they like that kind of hands on action. I wish you the best of luck. And I will take a compliment calling Jalup a Wonderland any day! Thanks! If you’re encountering that problem “Some updates were ignored because note type has changed”, try to downgrade your Ankidroid to a lower version (v.2.0.8 did the trick). The latest and recent versions are giving this problem. Same thing when trying to import other decks from the main shared deck collection. Hope this helps. 1. In Anki, create a new profile. 2. Imported the JALUP RTK deck into the new profile — this worked fine. 3. Exported all my existing decks from my old profile and then imported to the new profile. This worked. 4. I then synchronized. Anki complained, so I did Tools–>Check Database. This fixed something. 5. I then synchronized again. Anki said it was successful. Obviously this means you need to use a new profile. But it worked. I tried reverting to the old profile in various ways, but I was not successful. By the way, I’m using Anki 2.0.48. I use Anki on Arch Linux, I don’t know if that has anything to do with it. Somehow the front side shown the kanji and number now, the bach side does the same and I’m a total noop when it comes to html and computer lingu and I just can’t seem to find out how to reverse what I did… help? 3) Under Back template change font-size: 45px to whatever you want. Hmm, then I’m not really sure. Changing those numbers works for me and I don’t know another method. You might want to post this on the Anki help forum, as they know a lot more about the inner workings of Anki, and may be able to help. Hey everybody. Just wondering about opinions on adding vocab to this RTK deck in the answer section. i.e. getting reinforced with the reading of the kanji when checking the answer. (Perhaps this is not such a good idea, because of the various on and kun readings of the characters – as well as compound variations, so maybe this would work better in a chinese character deck, where readings are more stable?). Any thoughts? I think it’s just going to add a layer of extra work and confusion that you don’t need at this stage. Keeping things simple helps progress. Thanks for the tremendous amount of work and passion you obviously put into this site. I’ve been using the Heisig 1+3 deck for quite a while (I started studying Japanese quite a while ago, stopped, and am now restarting (2 months into it) with a passion. I use a combination of AJATT, Heisig and Lingq techniques, love passive and active input. I also love Anki, which is why I’m writing. No matter how many times I download your deck, I still get a 174Kb file that opens with the following error upon download (it’s automatically imported into Anki): “Updated 0 of 1774 existing notes. I’m not sure what’s going on, using Anki version 2.026 on Windows 7. Do you have any ideas? The same happens, by the way, when I try to download the slightly modified deck with Heisig 6 tags. I just tested it out, and I can’t seem to reproduce the problem you have (I’m using Windows 8.1 with the most updated Anki). You open a new user, click the file-import button, and import the deck and that’s the message you get? Not sure if this helps. Otherwise, you might want to try the Anki tech support forum (https://anki.tenderapp.com/). I had been importing to my current profile, which has several other decks. After reading your comment, I created a new JALUP profile and imported the deck, and it imported properly. Hope this helps others, but I’m not sure why I needed to create a second profile. Question for the Anki Tech Support folks, I guess. BTW, this is a fabulous site, and I’m very, VERY impressed with your work and dedication. Thanks for all you do! I’m glad to hear that it works with a new profile, though I realize that is only a temporary fix. Anki sometimes works in weird ways. After importing it into a new profile, maybe try exporting it as a new deck, and then importing that exported deck again into your other decks and see if that works? I was using this deck (VERY helpful by the way; I was giving myself a lot of unnecessary stress before I found this site. Thanks for all you’ve done so far! :D), but I was wondering if JLRTK26 is missing or if it’s an error on my computer in downloading. Hmm, I do see that as well. I wonder if the creator of that version skipped that number by mistake and the lesson numbers after that are one ahead. Do the others match up? Or maybe because of the removed kanji, there were none in lesson 26? I’m not really sure as I don’t have that edition book. However, the full kanji (1901) are still there. So it shouldn’t actually change anything. I just checked and lesson 26 is combined with 27 in the JLRTK 6th edition deck, so you’ll find all the lesson 26 kanji with the lesson 27 group. Thank you for all the work that you’ve done on this site – it’s REALLY helpful. I’m actually a bit upset at myself for not discovering it sooner. (Anki has so many different RTK decks, wasn’t sure which was best). I know you said that if we already started RTK, then we should just add Japanese keywords to failed cards as we go, instead of changing everything at once, but I still feel like I’m missing out if I just do that. Any suggestions? I’m starting to reach the point where I confuse similar keywords (esp. emotion-related ones). This mod deck would be great to use, but that’d mean starting over, right? I’m just kinda lost…Help? I’m only at around 800 kanji myself, but what I’ve been doing for ones with similar keywords is I add a clarification in parentheses next to the keyword to help me remember. 1. Import the cards after 700 from the Mod deck into your deck, replacing the original cards (however, this may not work out smoothly due to a lot of adjustments made to the mod deck. 2. Manually copy all the notes (hints, Japanese keywords, etc.) from the mod deck to your own. 3. Manually copy only the notes you need/want. 4. Completely drop the deck you are doing, and switch to the mod deck, breezing through the first several hundred cards since you should already know them well. 5. Don’t worry about it, and just go through the deck you are doing. I’ve said earlier that I’m skipping RTK, but now I’m changing my mind. I’m doing 75-150/day, and I’m set to finish by September. Glad to hear you are giving it a shot. Thank you Adam for posting this! It is a very nice deck; however, I thought it would be nice to have the popular stories from Reviewing the Kanji as extra fields on your cards, so I did some quick scripting and added the two story fields as well as the 6th edition lesson number and Heisig numbers to your cards where they were available. So now ~1800 of the cards in your deck have the two most popular stories from the this shared deck, https://ankiweb.net/shared/info/2756278936 as well as the 6th edition numbers along with the original numbers from your deck. Adam, I find this to be very helpful, do you think other people might get any use out of it? I should mention that I made it to lesson 27 (~1000 Kanji) in RTK about 6 months ago, then got annoyed with the whole thing and just stopped, but now I’m giving it another go. The reason I like the stories right there on the answer side of the card is that, since I “learned” most of the stories for those first 1000 kanji, I find that having the stories right there to jog my memory when I miss a card makes things go sooo much faster than having to stop and open up the Reviewing the Kanji website. I think what you’ve done would definitely be a useful option. I would be happy to put your version of the deck up on Japanese Level Up. However, did you add the stories yourself from the site, or are you just copying them from the deck that you listed? If it is the latter, see if you can get permission from the author to use that part of the deck, as I don’t want to be taking from someone else’s work without their permission. So hammering away at RTK for over 6 months now, I still haven’t finished it, but I’ve definitely gotten to the point where some of the older stuff is on such long review intervals that I no longer remember the stories. I have to say the JP keywords you included are *really* helpful in those cases. For example, I had a pretty weak story for “Happenstance” (故) to begin with, mostly because I never use that word in daily life. When it came up for review just now, I thought “aww man…”, but then I looked at the JP keyword – 事こ – and I was able to recall the character that way. Happy to hear that! It’s all about being in it for the long term, and the English keyword and stories really lose the value they once had. Just wondering if anyone else here is having the same problem as myself. I’m using the JALUPRTKMODE6 deck and no matter what I try, the deck does not start in order. It starts with “This here”. I’ve made sure cards are shown in order added in the options to no avail. To anyone else experiencing this, we solved this over email. It was something to do with the profile he was using. When he created a new user and imported it fresh, the number order worked properly. Hi, thanks for your deck! What would that be? Do you know how can I fix it? Thanks. Hmm, that question mark is where the Heisig kanji number is supposed to be. Do you get the same error in version 1? Tgatz did some things with the numbering so I wonder if that had an effect on the heisig number appearing. Is it advised to delete some of the english keywords once you know the kanji readings? As you go forward you’ll start ignoring the English keywords (as they end up eventually causing more confusion). I never bothered deleting them myself because I was too lazy, and since I rarely look at the English I never felt the need. But I don’t think they are necessary anymore once you master the kanji. Just make sure you really know them well before removing them. Sometimes you feel you know a kanji well, and then come back months later to a moment of forgetfulness. A fix for the lazy people might be simply editing the Card template in Anki to show the Egnlish keyword smaller or hide it all together. Then you can always show it again at a later time if you want to, or hit edit for a single card and see the English keyword in there. I can’t help wondering how you decided what the unnecessary kanji were? Why would Heisig include them if they’re really not useful? I am so tempted by the idea of using Japanese keywords however. If you do a scan of every 416,563 pages of Japanese Wikipedia you will encounter 106,067,617 kanji appearances, with 8916 kanji being unique. From this 106,067,617 kanji, 173 of those kanji make up 50% of this number. From these numbers it is really more of a personal question. Do I want do spend the time to learn kanji that cover 95% of the situations I will encounter? Or do I want to triple that time investment to cover the last remaining 5%? RTK was written to cover all the jōyō kanji, nothing more, nothing less. They’re all “useful” to someone, or else they wouldn’t exist (indeed, many truly useless characters have been phased out over the years). The important question is whether or not they’re useful to you personally, and that will vary with your interests. While I’ve found Adam’s “skip” list to be quite reliable, I’ve already re-added roughly a dozen of the deleted characters. That’s not because his list is bad, but rather because he and I are interested in different stuff. My only real complaint with the deleted characters is that some of them serve as primitives in other important characters, and not learning them complicates the learning of those other characters down the line. Even so, I feel like I was able to save a lot of time and energy by skipping a few hundred “uncommon” characters up front, so I think it was worth it. 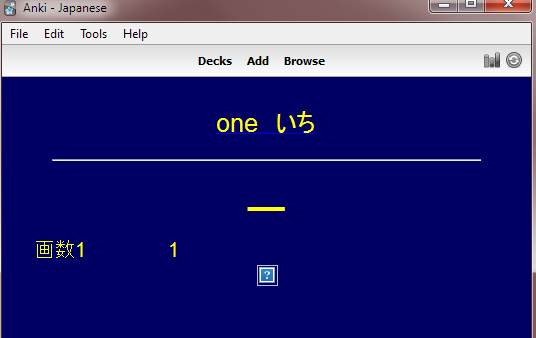 It’s quite easy to go back and re-add individual kanji to your deck later if you end up needing them. Question for 731 leader. The Heisig book has a claw primitive on the top right but you have a meat primitive in your deck instead. Are both correct versions? Not sure what you mean. 731 leader 将 is not what is in the Heisig book? How does it look there? This is the Han Unification issue I brought up before, Adam. He’s seeing the Chinese version of the character when doing reviews, which is drawn differently from the Japanese version (displayed correctly in Heisig’s book). The problem affects not just browsers, but potentially Anki as well, depending on your device and system settings. 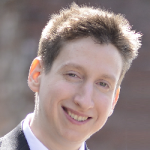 @Greg: Would I be correct in guessing that you’re doing your Anki reviews on an Android mobile device? I had to forcefully change my font in Anki to a Japanese-only font in order to see the Japanese, rather than Chinese characters. This issue stems from some really bad decisions being made about Asian language support back in the early days of Unicode, and more recently from Google seemingly not giving a crap about showing the correct glyphs. Chinese is treated as the default because it has the largest user-base, and changing your settings to correct this ranges from difficult to impossible depending on where you’re seeing the problem. By the way, this is also an issue for the JALUP site itself in Google Chrome (on my screen, the version of 将 you posted is rendered as the Chinese variant). The site has to be configured a certain way to force the display of Japanese glyphs instead, and I’m unsure of exactly what that entails. So far jisho.org is the only site that I’ve seen get it right that’s not on a .jp domain. Ahh okay, didn’t realize that this was part of the issue we discussed. I emailed you about turning this info into a post as I think this is an issue that everyone comes across. Yes I am using an android phone and reviewing with ankidroid so that appears to be the problem. Could you suggest a font to use as I currently have it set to system default font? Thanks. Viewing this webpage in chrome on my phone displays the character as the chinese version. Opened it in safari on a Mac and still displayed this version. My system language is set to English. 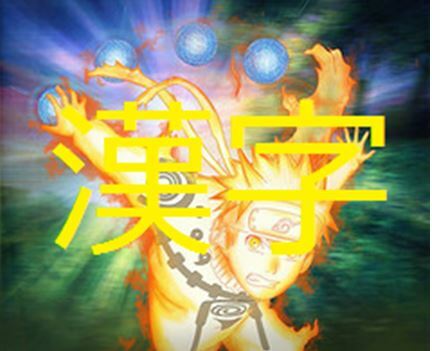 The character is displayed correctly on the kanji koohi website but not in ankidroid or on Japanese level up. It does appear to be the Han unification issue so appreciate Matt v’s diagnosis. I noticed a few other kanji that were written differently on ankidroid (I’m switching from kanji koohi to jalrtk mod deck so am reviewing all book 1 rtk this month) and now I know why. Will see if I can install a new font. I’m at work right now, but when I get home I’ll post an explanation of what I did to fix it, including a link to a free Japanese-only font you can use. Note that this will also affect Sentence reviews in Ankidroid (you may have already encountered this), so I’ll include some info about fixing that as well. -Make a backup text copy of the Card Type style settings before tinkering with it, just in case you mess up and want to undo the changes. -You must change each “card type” individually. This means that, for example, changes to the “Heisig” type will only affect your RTK deck, and changes to the “Japanese (Recognition)” type will only affect your Sentence deck. -If you’re using JALUP sentence decks, you may need to fiddle with the settings a bit to get the font to display on your phone. I ended up just stomping the whole thing and setting all fonts to notosans since I do all my reviews on my phone now anyway. -If you’re using JALUP sentence decks, any time you import a new deck (ex: Intermediate 1000) to Anki, your custom settings will be overwritten with the defaults for that deck. Be sure and save the old config in a text file before importing so you can easily re-apply it. Once you do that, reviews on your phone should correctly display the JP version of Kanji characters instead of the CN version. Hope that helps! Thanks will try. Traveling for a few days so no access to my laptop but will post if any problems with that method. I do all my reviews on my phone. I downloaded the noto sans JP from the above link and successfully installed in on my laptop. However, the google font is in opentype format but the anki manual says that the fonts need to be in truetype to work with anki. I couldn’t find out how to get a truetype version of the font. Any ideas how to proceed? Thanks. I just changed the font’s file extension to .ttf and it worked for me. Hope that helps! OpenType is a backwards compatible extension of TrueType, so as suggested by Matt, one can be used in place of the other. Got it to work on my desktop anki but despite syncing still displaying incorrectly on my phone (nexus 4, android 5.1.1). Will try some internet searches and see if I can get it to work. In case you write the article suggested by Adam here’s some of the kanji that I found were improperly displayed (using the Heisig keyword): wisteria, map, equip, victory, scroll (subtle difference but easy to memorize the wrong way), sphere, ticket, ring (particularly bad as used a different version of the scarf so easy to memorize wrong), daring, send back, augment, charcoal, perusal. Thanks for the advice. Will try and see if I can get that to work. I had already basically given up trying to fix it and was going to switch to an iphone but will post here if that will work. I was able to download and install the _NotoSansJP-Regular font (size 4.27 mb). I am able to now view the kanji correctly in anki on my windows laptop but still not showing correctly on the android device (nexus 4). I verified that the font is on the ankidroid collections.media folder on the nexus but still not displaying correctly. I read over the linked discussion but still no luck fixing it. Try to change your phone language to “日本語” (Japanese, usually the last one) before your reviews. This should serve as a temporary fix. Alternatively, if you are not studying Chinese, and have a rooted android, remove it from the main folder. The characters you are seeing are Chinese characters. Android messed up BIG time because the unicodes for chinese and japanese characters are almost the same. I noted that card 1908 in the deck uses the key word of explanation. Heisig (at least in the 4th edition I have) uses interpretation as the keyword for 1908 and explanation is used for 499. For some reason not all of the cards are showing up when I download this deck. I can downlaod it into Anki successfully, and review cards with no problem, but only the first 346 cards actually seem to show up in Anki. I tried deleting the deck and redownloading it several times, and also tried downloading the deck with different grouping, but I can’t seem to get the entire deck. Any suggestions for how to resolve this issue? Can you see the cards in the browser? If not, Install the deck on a different platform(eg: ankidroid)and sync. Sometimes the note types can cause this too. If possible, provide some more information (maybe a screenshot) of your problem. I use the mobile ios version of Anki, if that helps any. I don’t really have consistent access to the desktop version. I’ll try and do what you said, though. You have 2 kanji decks. Maybe the notes of one deck is interfering wth the second? 1. Make backup of Lazy Kanji deck (with reviews) and delete it. 2. Delete RTK mod deck, and reinstall it. 3. Change the note type of RTK mod deck. 4. Re-import Lazy Kanji deck. I’m trying to do the RTK Anki deck, and I’m running into an issue. I set the deck up so that it would do 30 cards a day, and then I studied the first 30 kanji in the book, but while going through my deck study today, it grabbed kanji all the way up to 45 or so. How do I know which ones Anki is going to pick for any given day so I know what to study in the book? I find Heisig’s imagery helpful in learning the kanji. Set the new cards as you please. I’d advice that you read the “Tasks” section of the walk-through for World 2. The cards per day setting usually works as intended. You may however experience issues if you change it and/or have also forced it to study extra cards with custom study. I doubt that you will see this issue persist tomorrow. is the first of three which outlines which kanji have been filtered from this deck. Also, this Anki deck I believe is based on the 5th edition of RTK, where I believe that the 6th edition is now the newest. 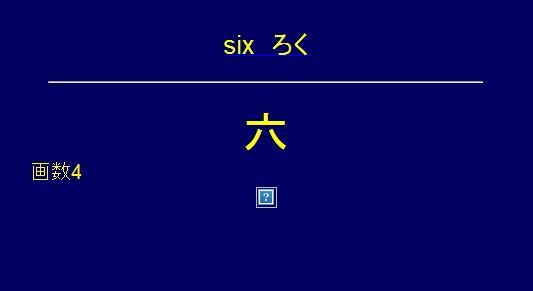 In the 6th edition, several (I believe around 200) kanji were added. As a result, those ones will not appear in order in this deck, but more common and useful ones will be picked up at the end of the deck in what used to be RTK 3. It might be an issue with Anki settings as others have suggested, but if the cards appear in order but some of them are just missing (for example, if you have the 6th edition RTK book, #17 “I” (吾）, #19 “Companion” (朋), #25 “Prosperous” (昌), etc. ), or skipped over, it is probably just that those ones have been excluded for the reasons above. Agreed, this is probably your issue, so disregard my post above. I used “Browse” mode on my PC when I did RTK to find out which cards to study the next day and prepared stories for them at the same time. Yeah – exactly what I did today and will continue to do moving forward. If you haven’t found it already, I can recommend http://kanji.koohii.com/ for finding stories. You need to make a free account to get access to that part of the site, but they have lots of great and crazy (the best kind imo) stories to get you inspired. Not really sure to be honest. This has been asked a few times, and I thought it might have been some minor card data left over that didn’t get passed through properly. Could somebody please help me with a problem? When I import the cards of the updated set (English Version 2) which should also include the index numbers of the 6th edition there are no tags visible which would hint at the new index numbers. It is still the same regular set (English Version). I tried to add it multiple times but with no success. I would love to study with this set but I am already so used to studying with the 6th edition. Hey, I downloaded the cars and it says there is 1901 cards but shows chapter 1-18 and it says theyre all completed and its vocab form genki….That makes no sense please help. Not really sure what you mean. First, which deck are you using? And second, what do you mean by they are all completed and it’s vocab from genki? I’m a little confused by this. Thanks so much for the deck! It’s proving really useful especially in conjunction with the Jalup Beginner 1000. One problem is that when I click on the keyword the link to Kanji.Koohii doesn’t work. When I manually go to the page this is the link for number 38 – hundred. which gives me a 403 error. Not really sure, but I assume it’s because of the way their site was restructured (the decks links are quite old). If anyone has a solution, please chime in. It’s actually very easy to fix, the original card layout makes it very easy to fix with no risk of data loss or anything. In your deck, go to Browse, then press enter if it doesn’t display all cards already, pick a random one, press the “Card” button. I remade all the decks so people who will want to download later won’t have to do the fix. I renamed everything as to not get confused over what was what, do feel free to rename them to what they were initially. Ark, I didn’t expect the html tags. http://pastebin.com/GdYFB4X1 Here’s the working explaination, sorry. Thanks so much for the replies Adam and Asayake. I’ve been really busy over the xmas period but I have some time now so I’ll give that a go. At work so I can’t use the app but I’ll try this later on my home computer. Thanks for the pastebin link as well! i noticed that there was no recall cards in the mod deck and i was wondering why?